On Tuesday, Facebook's head of cybersecurity policy, Nathaniel Gleicher, posted on the social media company's blog that the site had "removed 2,632 Pages, Groups and accounts that engaged in coordinated inauthentic behavior on Facebook and Instagram," noting they were "connected to Iran, Russia, Macedonia and Kosovo" but that they didn't believe the networks or their operations to be connected. Of those, 513 pages, groups and accounts were accused by Facebook of being "part of multiple networks tied to Iran," noting that they "identified some of these activities through our follow-on investigation into Iran-linked coordinated inauthentic behavior that we found and removed earlier this year." The pages "operated in Egypt, India, Indonesia, Israel, Italy, Kashmir, Kazakhstan or broadly across the Middle East and North Africa." Facebook says the page admins and account owners "represented themselves as locals and made-up media entities, often using fake accounts — and they impersonated real political groups and media organizations" to post content about topics including sanctions against Iran, tensions between India and Pakistan, the conflicts in Syria and Yemen, the Israeli-Palestinian conflict, Islamic religious issues, Indian politics, and the crisis in Venezuela. While Facebook didn't provide a comprehensive list of the pages taken down, it did include screenshots of some examples of pages and posts it removed. While these kinds of "mugshots," for lack of a better term, tell us about as much about the pages and the content as the mugshot of an arrested person does about the crime they're alleged to have committed, we can garner some important information from them, which only further reinforces points Sputnik has made in the past about how Facebook goes about this process. Several of the screenshots come from either Pars Today or its parent company, the Islamic Republic of Iran Broadcasting (IRIB) corporation, an Iranian state media outfit that predates the 1979 revolution. According to Pars Today, the agency started operations in January 2016. It provides online news services "covering breaking news and the latest events in Iran, the Middle East and the wider world" in more than 30 languages, "including Albanian, Armenian, Bangla, English, Russian, French, German, Hausa, Hebrew, Hindi, Italian, Japanese, Kazakh, Swahili, Pashtu, Spanish, Portuguese and Turkish." Two of the pages displayed in the blog are Pars Today Hebrew and a Spanish-language affiliate of IRIB, IRIB-Noticias de America Latina, and the posts depicted cover topics appropriate to their geographical area. It's difficult to imagine how Facebook regarded these as "inauthentic," or that it would judge the behavior what are very obviously affiliate pages of a news agency to be "coordinated" in a suspicious way. Of course, the site has done just that to Sputnik before, lest we forget, taking down hundreds of pages associated with the news agency, including the private accounts of its employees in Eastern Europe. For the moment though, let's explore this curious term that's causing so much trouble: "coordinated inauthentic behavior." The first time Facebook removed pages for this was on July 31, 2018, according to its timeline of blogs on the subject. In a December 2018 video on Facebook's newsroom, Gleicher explains what the term means and how Facebook addresses it. "Coordinated inauthentic behavior," Gleicher tells us in the video, "is when pages or people work together to mislead others about who they are or what they're doing." "When we take down one of these networks, it's because of their deceptive behavior — it's not because of the content they're sharing," Gleicher said, noting that "the posts themselves may not be false and may not go against our community standards." "We might take a network down for making it look like it's being run from one part of the world when in fact it's being run from another. This could be done for ideological purposes or it could be financially motivated. For example, spammers might seek to convince people to click on a link to visit their page or to read their posts," the Facebook security chief said. Here we come up against a possible alternative explanation: does Facebook believe these pages to be imitations of real Pars and IRIB accounts? Could it actually be helping Iranian state media to get rid of some illegal impersonators giving its news agencies a bad name on social media? Probably not. Sputnik observed during a previous takedown of supposed Iranian pages "that Facebook seems to have decided that the only people who would share news or other stories from Iranian state media, especially ones that question the role of Western powers and their allies in the Middle East, are surreptitious actors in coordination with the Iranian government, even though Facebook has not furnished evidence demonstrating this to be the case." However, in that mass removal, which happened on January 31 of this year, the connection between the pages and Iranian anything — government or civil society — was not apparent. Indeed, Gleicher was forced to admit that Facebook's security team felt "confident that this is content emanating from Iran," although as the Hill noted, Gleicher was forced to admit to reporters on a conference call that Facebook couldn't actually tie any of the activity to the Iranian government. So what are we left with? Perhaps we should remember who it is that helps Facebook with these operations: it's not disinterested actors, but security firms and hawkish think tanks that operate fist-in-glove with the US government to forward its interests. 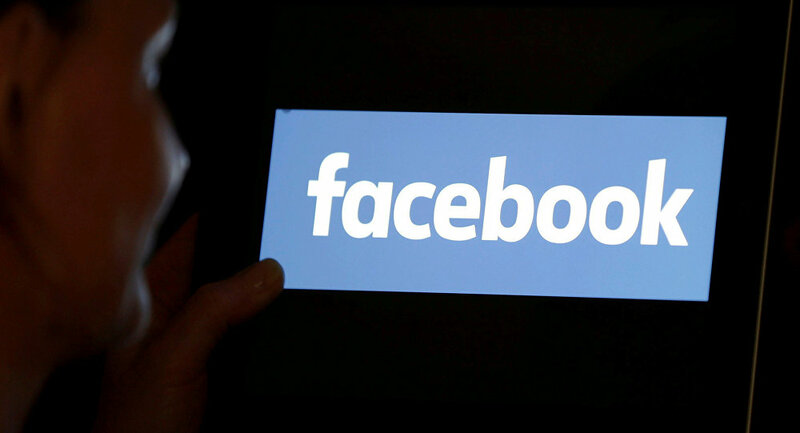 "The actions taken by Facebook to remove certain pages is certainly nothing new," web developer and technologist Chris Garaffa told Sputnik Tuesday. "They have a long history of doing this since the boogeymen of Russian interference and ‘fake news' entered mainstream political discourse." "Just days after the Russiagate conspiracy theory was debunked, Facebook has turned its attention to other targets of the US government and its Western allies," Garaffa said. He noted it was interesting that "two of the named targets, Macedonia and Kosovo, were part of the former Yugoslavia and the world just marked the 20th anniversary of the NATO bombing and destruction in that country." "Facebook's own blog post says that the targeted pages, posts and groups are somehow tied to Iran, but provides little evidence of that. What is clear is that the examples of the political posts that were deleted provided an alternative narrative to mainstream Western perspectives on issues of Palestine, Iran, Venezuela and other targets of imperialism. It's also important to note that Facebook itself says they "didn't find any links between these sets of activities" — that is, the company's targets happen to align with US foreign policy targets." "A key point to remember here is that Facebook does not act alone when it issues these takedowns," Garaffa told Sputnik. "It openly works with the Digital Forensics Research Lab (DFRLab) arm of the NATO-backed Atlantic Council as well as with FireEye, a security company with a history of CIA backing and funding. In many of the most recent waves of takedowns, DFRLab and/or FireEye have simultaneously published posts about their collaboration with Facebook, with DFRLab often going further with its obvious political slant by calling the targets ‘propaganda networks,' as they have in this case."